Canada is a country of massive size, of diverse geographical features and an equally diverse population—all features that are magnificently reflected in its architecture. 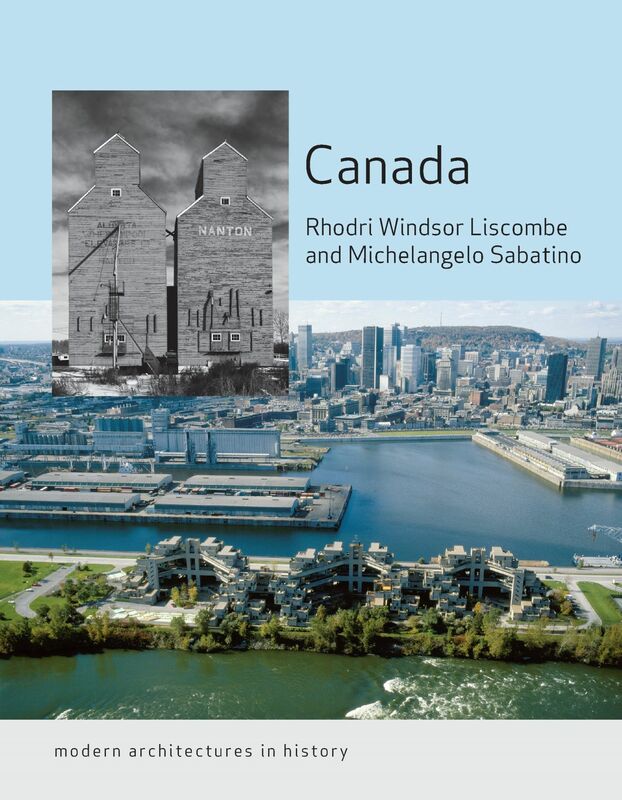 In this book, Rhodri Windsor Liscombe and Michelangelo Sabatino offer a richly informative history of Canadian architecture that celebrates and explores the country’s many contributions to the spread of architectural modernity in the Americas. A distinct Canadian design attitude coalesced during the twentieth century, one informed by a liberal, hybrid, and pragmatic mindset intent less upon the dogma of architectural language and more on thinking about the formation of inclusive spaces and places. Taking a fresh perspective on design production, they map the unfolding of architectural modernity across the country, from the completion of the transcontinental railway in the late 1880s through to the present. Along the way they discuss architecture within the broader contexts of political, industrial, and sociocultural evolution; the urban-suburban expansion; and new building technologies. Examining the works of architects and firms such as ARCOP, Eric Arthur, Ernest Cormier, Brigitte Shim, and Howard Sutcliffe, this book brings Canadian architecture chronologically and thematically to life. "This one has long been anticipated by Canadian academics and enthusiasts as it both updates and fills-out foundational texts. . . . The authors have established Canada’s modernist architectural narrative as a major player on the international stage of the movement, and they have certainly sketched a referential canon for further commentators—students, academics, and practitioners—to explore fruitfully and with profit."